Chief Executive Officer of Event Factory Ghana Limited, Nabil Alhassan has said it is not possible to hold a comedy show at the Accra International Conference Centre (AICC) with only Ghanaian comedians and have the auditorium full to capacity. Nabil, speaking on Pluzz FM’s AM Pluzz after successfully organising ‘The Lords of the Ribs season 3’ which featured comedians from Ghana and Nigeria said, although some Ghanaian comedians are a delight to watch, the industry is still growing. His answer to a question by host, Sammy Flex, as to whether there can be a full auditorium should organisers put only Ghanaian comedians on the bill was a direct ‘no’. “Absolutely no because it’s very difficult for Ghanaians to accept certain things. The Ghanaian comedy is now growing. Some people are finding it difficult to accept that our comedians are funny. But when they come to such events, they realise our comedians are good,” he said. According to Nabil, even getting half of the auditorium full will not be an easy task; reason foreign comedians would have to be featured. “For you to entice the Ghanaian, you have to add something extra, something foreign. If you want to do a Ghanaian comedy, it will be very difficult to have half of the auditorium full,” he noted. “Our artistes can make it happen; not our comedians. We can give it a try. There has to be a lot of investment in the comedy sector. People need to brand themselves very well, they need to start from somewhere and make use of every opportunity,” Nabil added. The Ghana comedy industry, which suffered criticisms from pundits and a section of the populace for being unserious and lacking creativity, seem to have seen a facelift as some comedians have sharpened their craft. 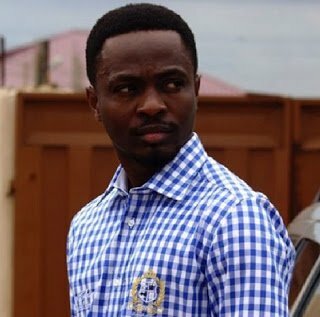 From DKB to Funny Face, Foster Romanus, OB, Khemical and many others, one can hope for a brighter future for Ghana’s comedy industry.